If you have back or neck pain that won’t go away and you are selecting a specialist, there are some important things to consider. There are many different specialists that treat the spine. 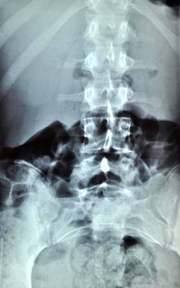 It takes years beyond medical school, internship and residency to master the treatment of spine-related disorders. Patients should look for specialists that have completed post-graduate fellowships and are familiar with all aspects of spine care. Doctors that perform these procedures must be specially trained and demonstrate competence in these procedures. The more extensive the physician’s training, the better. Physicians that train other physicians, contribute to research, and design or develop surgical technologies are usually the best. I continue to be published in numerous scientific publications, am asked to speak at national and international medical meetings and hold several patents on medical devices for the spine. In fact, one of our patented technologies that I helped design, the Serengeti Minimally Invasive Retractor System, recently received the 2010 Medical Design Excellence Award. I am continuing to develop other spine technologies and patents in order to offer the most innovative, minimally-invasive procedures to patients needing my help. Treatments for the spine vary greatly, and are changing rapidly, and I’m excited to be on the forefront of it all. In a future blog post, I will discuss what true Minimally-Invasive treatments are. There are many doctors claiming to perform minimally invasive surgery, however there are few that actually do. So, do your own research before seeing a spine specialist for your back or neck pain. It will benefit you greatly in the long run. Education, training and experience are all extremely valuable and most most important when selecting a spine specialist. What is missing from Dr. Peloza’s blog post, is that of equal value and importance is the passion, attitute and heart of the spine specialist. Finding a specialist with all of these qualities as well as compassion and true caring spirit for his or her patients is by far the ultimate combination. This complete package for the best spine specialist does exist at the Center for Spine Care and found in the DNA makeup of Dr. John Peloza.